Kenza Drider, a 32-year-old French housewife has become the face of the country’s “burqa brigade”, the women in France who cover themselves from head to toe in full veils. She will fall foul of a law that comes into effect today (Monday 11 April) and forbids French citizens from covering their faces in public places. Despite the ban’s deliberately general wording, there is no doubt that its target is very specific – Muslim women. Drider’s first offence will be to set foot inside Avignon’s TGV rail station where she is due to take a train to Paris. For this she risks a €150 fine and, if she repeats the offence, being sent on a “citizenship course”. “I will be going about my business in my full veil as I have for the last 12 years and nothing and nobody is going to stop me,” she declares. 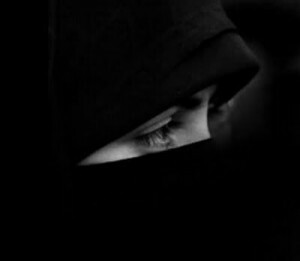 Parliamentarians and feminists in France have argued that the full veil is a symbol of male oppression and that niqab-wearing women are bullied into it by their husbands. This is not the case with Drider, nor with the 32 French women interviewed for a study by the At Home in Europe Project. All made their own decisions to wear the niqab. When she first put it on Drider felt “serene and complete”. It pleased her and became a part of her. Drider says it is only since Sarkozy’s government began discussing the veil ban that she has been subject to insults, harassment and death threats. Drider says the issue is bigger than her, bigger than a “piece of material”, and laughs at the threat of “citizenship courses” and fines, which she says she will not pay. “This is about basic fundamental human rights and freedoms. I will go out in my full veil and I will fight. I’m prepared to go all the way to the European court of human rights and I will fight for my liberty.